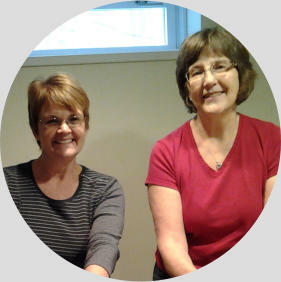 Start your “delightful” longarm quilting journey today! • Longarm quilting since 2009 • Computer guided quilting since 2014 • We carry supplies, notions, batting, wide backing, and machine quilting books - all for longarm quilting. Take ownership of your quilt from start to finish by renting time and quilting it yourself on one of our Nolting longarms. your needs, your space, and your budget. techniques and principles that will help them grow in their quilting knowledge and skill. Nolting longarm demonstration. We would love to help answer your questions. “You are the reason I purchased a Nolting. You are offering training and classes. No others in my area offered training. I appreciate the time you spent with me and it is obvious you would be a good teacher.” Marian F (left) - PRO 24 Joyce Blowers (right), owner of Delightful Quilting & Sewing. needs, your space, and your budget. grow in their quilting knowledge and skill.